Thanks Rob. In my opinion opportunities are there for those that can see the bigger picture. As they say 'if you don't look, you won't find'. Curious to hear about other common misjudgements observed by others. Agree. As Warren Buffett says, businesses run well when everyone eats their own cooking. There's always the option of allocating some investments to proven quality and some to more blue sky-type investments. It sure doesn't have to be one or the other. I'd also add proven quality and promising aren't mutually exclusive. There are promising companies that also have proven quality. 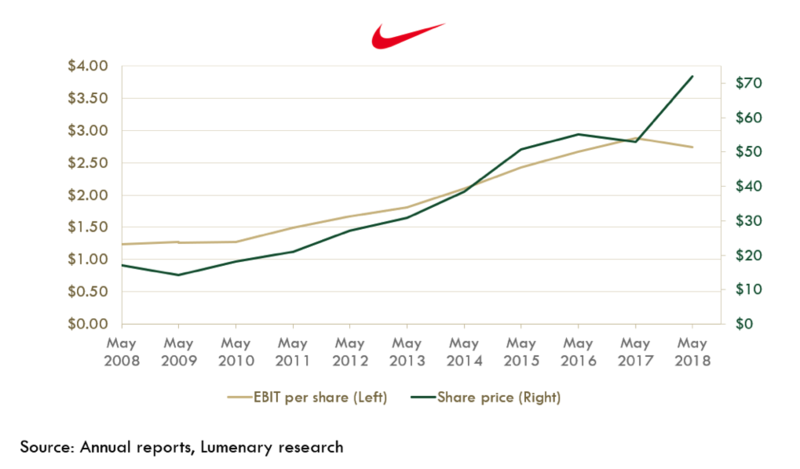 Think Nike, which continues to go from strength to strength and continues to evolve their business continually. The ability to dedicate time and have the 'finger on the pulse' is the main advantage fundies have. At the same time there are also other structural constraints faced by fundies. Given the competitive landscape is constantly evolving, investment theses are never static, always dynamically evolving. @Shaun, I'll be writing a piece about emotional biases (including commitment bias) shortly. If you've chosen to drive with a manual car, then you'll have certain advantages - just make sure you dedicate the time to learning it properly, otherwise automatic is a safe choice. Thanks Emanuel. I enjoyed contributing my first wire. Nice to connect with similar-minded investors.